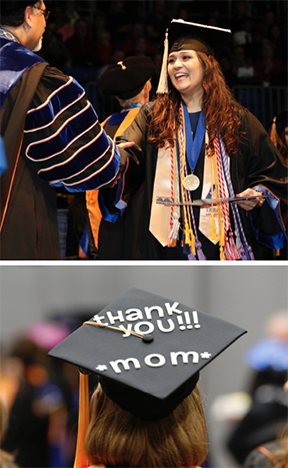 More than 6,500 graduates received their diplomas in commencement exercises December 17-19, making the Class of 2015 UTA's largest ever. December ceremonies are tailored for graduates who complete their degrees in summer or fall. They represent more than half the students expected to earn degrees from UTA during the 2015-16 academic year. UTA surpassed a milestone in the 2014-15 academic year, awarding 10,585 degrees. The upward trajectory is expected to continue. The graduates join the ranks of more than 200,000 UTA alumni around the globe, many working in engineering, health care, business, education, information technology, and other high-demand fields. 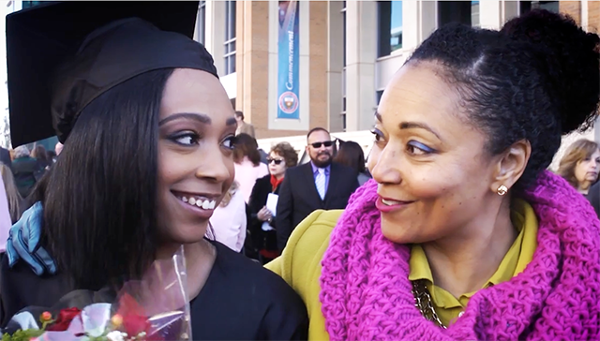 Videos from each of the seven colleges' commencement ceremonies can be viewed online. A compilation of social media highlights is viewable on Storify. View a highlight video and read more about the Class of 2015. Pomp and circumstance were on full display last week as several thousand UTA graduates participated in seven commencement ceremonies in College Park Center. See more photos. The UTA campus transitions to holiday and winter hours for the next few weeks. The Central Library is closed Thursday-Friday, Dec. 24-25, and Friday, Jan. 1. Check the hours for the Central Library, Architecture and Fine Arts Library, Science and Engineering Library, Special Collections, and the UTA FabLab. The Maverick Activities Center, indoor swimming pool, and climbing wall have winter break schedules online. The Help Desk is available 7 a.m.-6 p.m. with walk-in assistance starting at 9 a.m. Tuesday-Wednesday, Dec. 22-23, and 9 a.m.-6 p.m. Monday-Thursday, Dec. 28-31, and closed Thursday-Friday, Dec. 24-25, and Friday, Jan. 1. The P.O.D. Market in the E.H. Hereford University Center is open 8 a.m.-2 p.m. Monday-Wednesday, Dec. 21-23. The market is closed Thursday, Dec. 24-Sunday, Jan. 3. Hours are 8 a.m.-3 p.m. Mondays-Fridays, Jan. 5-15, and closed Saturday-Sunday, Jan. 9-10, and Saturday-Monday, Jan. 16-18. The E.H. Hereford University Center is open 7 a.m.-5:30 p.m. Monday-Wednesday, Dec. 21-23. Winter break closure is Thursday, Dec. 24-Sunday, Jan. 3. Hours are 7 a.m.-8 p.m. Monday, Jan. 4-Thursday, Jan. 14; 7 a.m.-11 p.m. Friday-Sunday, Jan. 15-17; and closed Monday, Jan. 18. Upgrades haves started at the Maverick Activities Center and Physical Education Building. All basketball courts in the MAC and PEB are closed at alternate times for floor resurfacing and refinishing through Jan. 10. Players can find open space for basketball at all times, rotating between buildings as the courts are completed. There may be a brief time when all courts are closed. It will be safe to be in the facilities, but there will be a strong odor from the refinishing materials. The controlled access turnstiles to the MAC are having a major repair. To enter the MAC for exercise or recreation or to visit the Department of Kinesiology, use the temporary north or south entrances that will be clearly marked. To access the Campus Recreation office, New Maverick Orientation/Off Campus Mavericks space, or the MAC computer lab, use the regular building entrance. Stay connected with Campus Recreation via the website, Twitter, and Facebook for updates. Cast your vote for the band for the Spring Concert. Choose either Echosmith or X Ambassadors in the online survey. Also pick a band for another campus concert in August 2016. Renew your locker at the Maverick Activities Center by Friday, Jan. 7, to save the space for the spring semester. If you choose not to renew, please clean out the locker by that date. Available lockers will be ready to rent on Tuesday, Jan. 19. For details, email Blair Schuyler or call 817-272-0207. Visit the Campus Recreation website for MAC programs and services. Scheduled electrical maintenance to add additional generators and power feeds for Arlington Regional Data Center (ARDC) is planned for 7 a.m.-7 p.m. Monday, Dec. 28. The upgrade will ensure the stability to UTA services in the event of a power disruption. Service may be temporarily interrupted during the upgrade. If service is lost, visit the Office of Information Technology’s system status page for the latest update. Today's TrailBlazer is the last issue until after the winter break. The next issue is Tuesday, Jan. 19. Send your stories or photos for TrailBlazer to trailblazer@uta.edu to be considered for publication. Find previous issues in the TrailBlazer archives. Census date for winter intersession. Winter break. No winter intersession classes. Classes resume for winter intersession. Last day to drop classes for winter intersession. Deadline to submit transfer coursework for fall 2015 graduation. Final exams for winter intersession. University closed for Martin Luther King Jr. holiday. First day of classes for spring semester. Make plans to register for the spring 2016 terms. The schedule of classes and the registration timetable are available on the MyMav page. Texas college students who are new to the institution and students returning after an absence of at least one fall or spring semester who are under age 22 are required to submit documentation of immunization against bacterial meningitis. Visit UT Arlington’s meningitis vaccination page for more information. Basketball Double Headers Maverick women's game followed by men's competition. Tickets $7-20 general public, $3 students. Mavs vs. Georgia State, Wednesday, Dec. 30; vs. Georgia Southern, Saturday, Jan. 2; vs. Arkansas State, Thursday, Jan. 21; vs. Arkansas-Little Rock, Saturday, Jan. 23. Women's 5 p.m., men's 7:15 p.m., College Park Center. Athletics. Maverick Speakers Series Ron Paul, Feb. 2; Donna Brazile, Feb. 25; and Jane Goodall, March 31. Free general admission, but tickets required. Premium, season, and VIP ticket packages include reserved seats, parking, and more. Tickets available at utatickets.com. 7:30 p.m., College Park Center. Maverick Speakers Series. 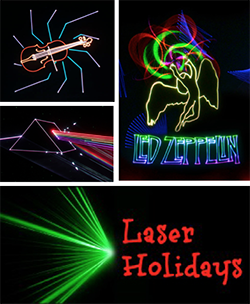 Planetarium Holiday season includes four programs using a full-color, 360-degree laser projector: Laser Country, Laser Holidays, Laser Pink Floyd, and Laser Zeppelin. Also, Holiday Music Magic and Season of Light as well as One World/One Sky, Cosmic Colors, Spacepark 360: Infinity, and Secret of the Cardboard Rocket. See the schedule. Closed Fridays, Dec. 24 and 30. Planetarium at UTA. Mavs roll: Jorge Bilbao powers into the paint in the victory over Sul Ross. No men's basketball coach has won more games at UTA than Scott Cross. Cross tied for the program's all-time lead with 162 victories after the Mavericks closed out a stellar nonconference season by overwhelming Sul Ross State 98-40 Monday night at College Park Center. The Mavs also won their fourth consecutive game and improved to 9-2 going into the Sun Belt Conference opener Dec. 30 against defending league champion Georgia State. Cross improved to 162-130 in his 10th season at UTA, tying Eddie McCarter atop the wins list. Cross played for and was an assistant under McCarter before taking over the program in 2006. The Lady Mavs survived UT-San Antonio's furious comeback attempt to defeat the Roadrunners 51-47 on Monday night. UTA improved to 31-28 all-time against the Roadrunners. UTA also clinched a .500 record through nonconference play. For the second consecutive game, UTA won the turnover margin and held a 22-14 advantage in points off of turnovers. UTSA turned the ball over 10 times in the first quarter and 24 times overall. Cierra Johnson led with a game-high 17 points. Johnson was just 5-17 from the field, but knocked down two 3-pointers and was 5-6 at the free-throw line. 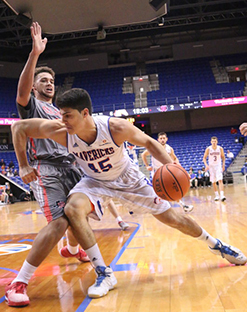 UTA opens up Sun Belt play at College Park Center on Dec. 30. The Lady Mavs have won their last four against Georgia State and continue the homestand against Georgia Southern on Jan. 2. Upcoming intramural sports deadlines are billiards, Wednesday, Jan. 6; racquetball, Tuesday, Jan. 12; and table tennis, Thursday, Jan. 14.